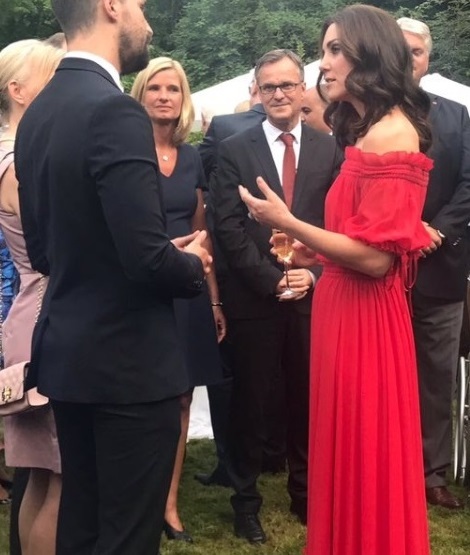 On the first day of the tour in Germany, Duke and Duchess attended the Queen’s 91st birthday party hosted by British Ambassador at his residence in Berlin. Duke and Duchess were joined by broad cross-section of German society in the evening event. 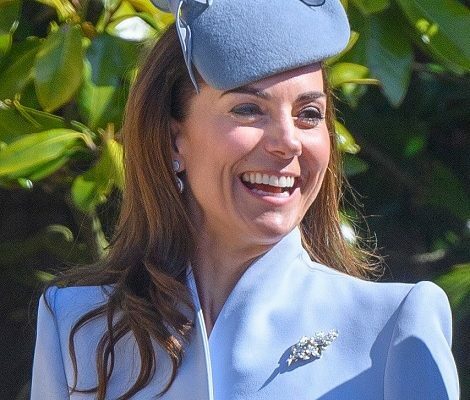 For the occassion Duchess of Cambridge was looking gorgeous in red off-the shoulder number by her favourite British label Alexander McQueen. The off-shoulder gown is from label’s Spring-Summer 2017 collection. 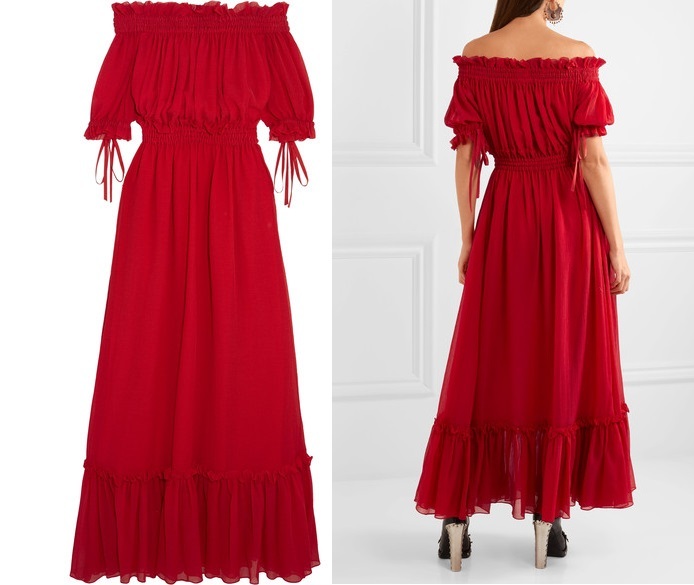 Made from cotton and silk-blend chiffon with a crinkled finish, the vivid red dress features a ruffled hem. Thanks to @RegalRepliKate on Twitter for dress ID. 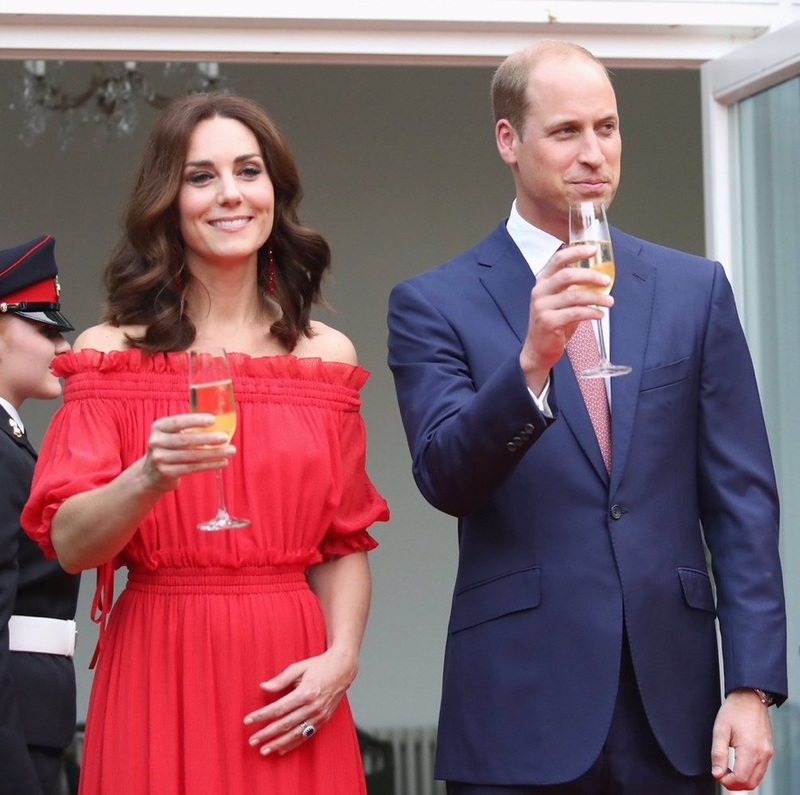 Duchess paired her outfit with pair of red Simone Rocha crystal earrings costing �195. The earrings described as “Red flowers punctuated a host of looks on Simone Rocha’s Fall ’17 runway and translated effortlessly into accessories, too. 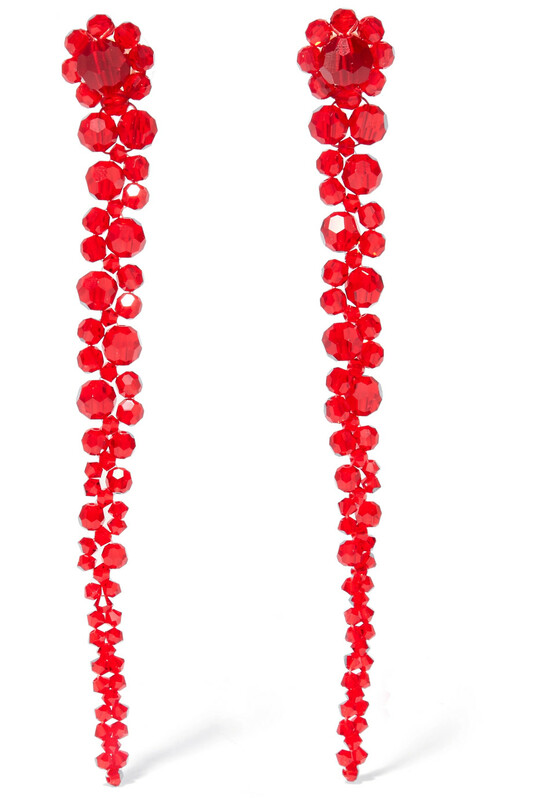 Made in Italy from faceted crystals, these earrings graduate in size with the smallest stone almost brushing the shoulder” also come in a red floral design, as well as black, and transparent tone. On her feet Kate wore shoes that are very similar to the Prada pair she owns in plum. The sandals features a taupe suede with scalloped straps. We believe that this pair also belongs to the Prada and available on Matches Fashion in black colourway. 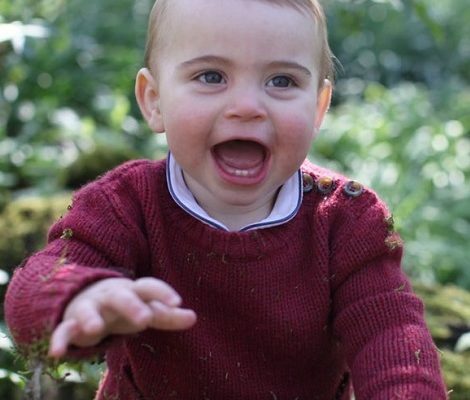 Today was a very busy day for the royal couple. Tomorrow starts the 4th day that again is fully packed with various engagements.